A supernova is the “death of a star” after it has exhausted all of it fuel. The time it takes for a star to exhaust all of its fuel, and is based on various conditions. Astronomer typically observe a new supernova once every 25 – 30 years. If the universe was millions or especially billions of years old we should theoretically observe a much larger number of supernova’s in the universe then we do right now. According to astronomers, their observations, data and research shows that galaxies like our own experience about one supernova per every 25 – 30 years. Gas and dust remnants from the explosions (like in the crab nebula) expand outward and are estimated to remain visible for tens of thousands up to a million years. Although this data has remained consistent (supernovas remain visible for a very long time), nearby parts of our galaxy in which we observe such gas and dust contain only 200 supernova remnants, which would be more consistent with a young earth viewpoint (going back roughly 6000 years). Additionally, the oldest supernova recorded in history appears to be approximately 2000 years old, as stated by a Chinese astronomers. 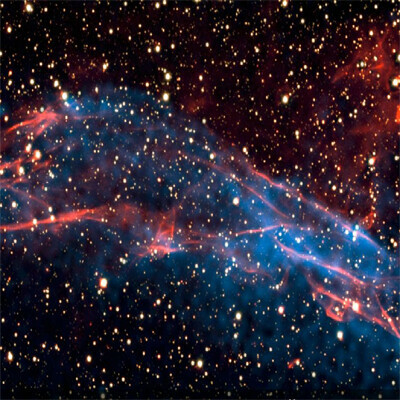 Supernova RCW 86 was observed by XMM-Newton and Chandra for its first time at around 185 A.D.